Brett Shaffer is the man to beat heading into the final day of the WPT Five Diamond Poker Classic. This year's WSOP $1.5k NLHE bracelet winner returns with 4,290,000, just ahead of German high roller specialsit Tobias Reinkemeier (3,625,000). Garrett Greer (3,260,000), Ryan Fee ( 3,055,000) and Mohsin Charania (2,415,000) follow with the short-stacked Ryan Julius (940,000) rounding out the six-man final table. Daniel Negreanu's quest for WPT glory stalled in 25th place. 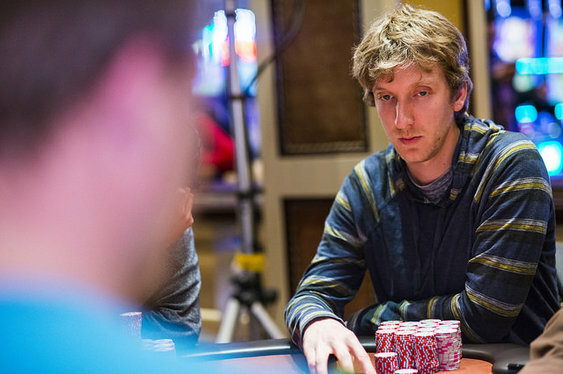 Other former tour winners to make the money but hit the rail on the penultimate day included Anthony Zinno (23rd), Will Failla (9th), Kevin Stammen (8th) and Jared Jaffee who was the final table bubble boy. The action resumes at midnight UK time. Here are the chip counts. Image courtesy of the World Poker Tour.